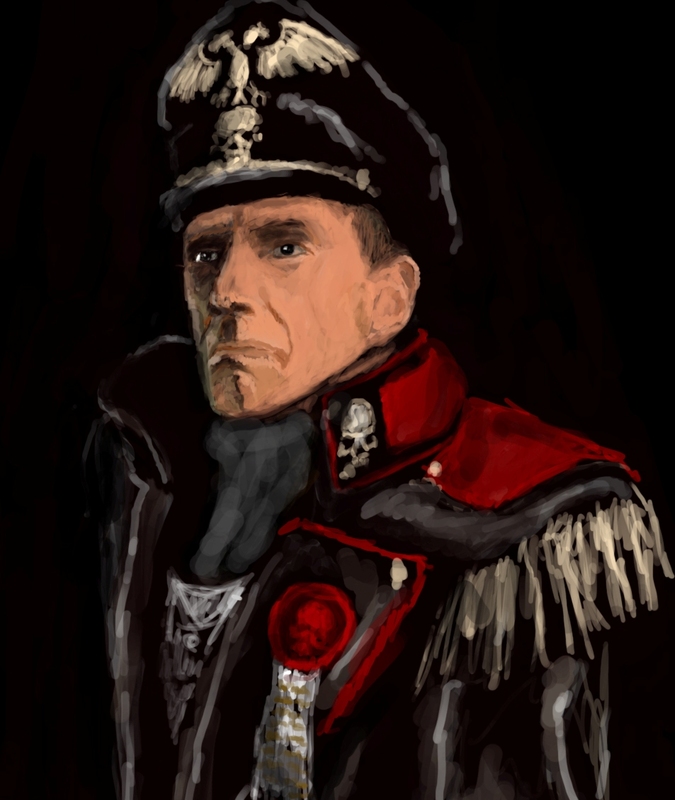 Born halfway across the galaxy on Drakhul II in the Segmentum Pacificus, Commissar-Major Rael Dracos is the fifth son of a wealthy aristocratic family with a long history of Imperial service and intense devotion to the Imperial Cult. On Drakhul II, the Code of Inheritance strictly codifies the roles and responsibilities of citizens, and the aristocracy is expected to set the example for the less-educated and less-enlightened working class. Under the law, the first born inherits all titles, properties, and legal contracts of the family, while the second born is expected to devote himself to the Ecclesiarchy. Any other children are free to seek their fortunes as best they can, although among the aristocracy, service to the Imperium–civil or military–often is viewed as more appropriate to one’s social status. As a child, Dracos became quickly enamored with videocasts celebrating the glories of the Imperial Guard and, during his school years, he participated in the youth military cadet program. Excellent grades and his social status won him acceptance at the prestigious Drakhul Military Academy, where he easily won promotion up the cadet officer ranks. In his final year of instruction, he served as captain of cadets. Commissar-Major Darcos bolsters the morale of the troops during a tour of the front lines on Hegira. Over the next decade, Dracos served his regiment faithfully, slowing rising up the ranks based on both his performance under fire and promotion opportunities created by casualties among higher-ranking commissars. By 730.M41, the 14th Regiment was largely decimated by continuing campaigns that took it halfway across the galaxy to the Corvus Cluster. It was ultimately disbanded. Awaiting reassignment at the Nguyen Naval Base, Belliose System, an appeal for aid arrived from the governor of the Sculptor System. An Ork Rok had crashed on a world called Hegira and Imperial guard units were needed. Other military commitments made it impossible for troops to be deployed to this backwater system, but it was decided to send the newly promoted commissar-major to the system to strengthen the resolve of the local PDF. Although a single man was not viewed by Hegira military authorities as serious assistance from the Imperium, Dracos has gained notice–and some notoriety–by his ability to set an example on the front lines. Most recently, he executed Lt. Sergio Calius in the midst of a battle for cowardice in the face of the enemy. 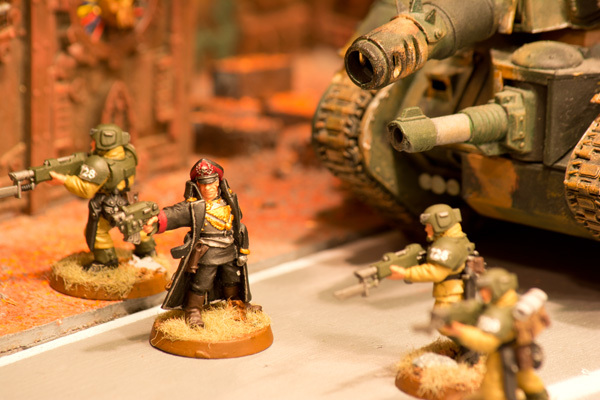 The determination of the commissar-major has resulted in a “stiffening” of the PDF resiliency in battle, a development that has not gone unnoticed by the Hegira high command, which has increasingly been deploying Dracos to trouble spots across the planet–much to the satisfaction of the commissar. Artwork courtesy of Mishai. Click here to visit Mishai’s artwork on the DeviantArt.com website.